The days of people carrying cash in their wallets is almost non-existent! Adding a Credit and Debit Card Reader can be a HUGE asset to your snack machines or soda vending machines! With just one swipe someone can purchase a snack, chip, candy or drink from your machine. This is especially necessary if you are going to have higher dollar items like cigarettes or even healthier snack or drink items in your machines. We have them available for new or refurbished - both refurbished snack machines and refurbished drink machines. There are different credit and debit card readers on the market. However, no matter the brand or model you choose, there are some things you should know about setting up a credit or debit merchant account for your vending machine business. - You get daily transaction reports sent directly to your email. You will get a summary of cash and credit/debit transaction on your merchant account daily. This will keep you up to speed with how each location has performed each day. - They run off of a wireless signal, just like a cell phone, and require good reception in your office or location. Most readers on the market are using a Verizon signal in order to get the best reception as possible, but if you do not get good reception in your building when using your cell phone, your card reader will not likley have a strong enough signal to process card payments. - There is an activation fee. Just like when activating a cell phone, there is an activation fee associated with each reader you have set up on a merchant account. This fee varies, but is usually around $30 per device. - The card readers come installed, but not activated. 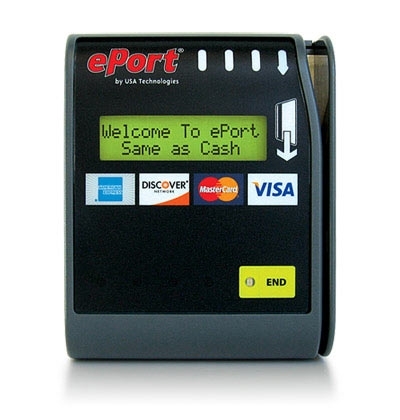 When you purchase a card reader for your vending machine, we can have it installed. However, you will have to contact the card reader manufacture once you receive your machine and set up your merchant account and activate your card readers. This requires the serial number from the card reader; so it is done once the machine and card reader arrive to your location. - There are monthly service fees associated with operating a card reader in your vending machine. Fees are as low as $7.99 per month + a small fee per transaction. The best way to describe APPLE PAY is that it is simply another form of a credit transaction. It will show as a "CONTACTLESS" transaction on reports for the vending operator. "Mobile" is often called "contactless" or "mobile wallet" or "NFC" (Near Field Communication if someone is tech-savvy). 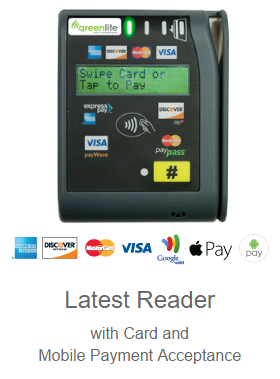 Our devices accept Apple/Samsung/Android Pay for the "mobile" payments. The Mobile Pay feature is included in your monthly service plan at no extra cost.